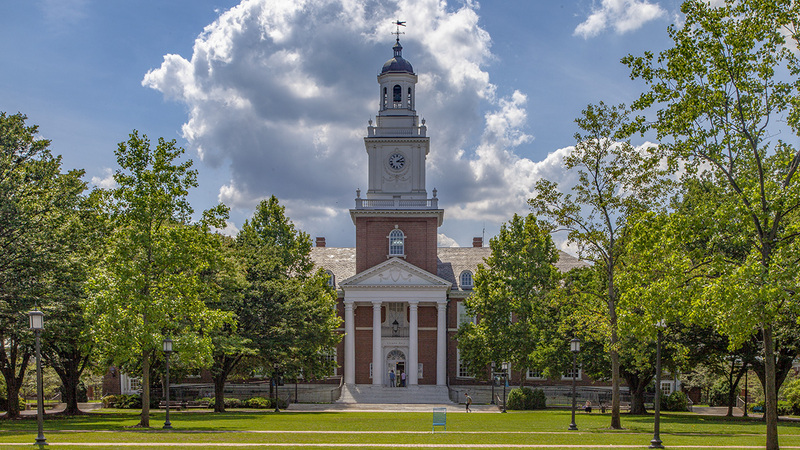 This 140-acre campus in north Baltimore was established on the site of the Homewood estate, originally the residence of Charles Carroll, Jr., the son of Founding Father Charles Carroll. The university had been located in the city’s Mount Vernon neighborhood since its inception in 1876 but by 1894 required room for expansion. University board member William Wyman, then-owner of Homewood, partnered with his cousin William Keyser to reassemble the divided estate, which was then given to the university. 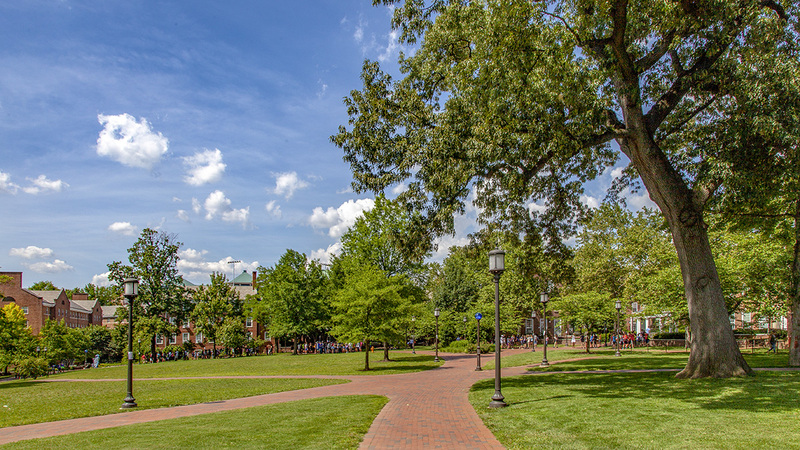 In 1904 the firm Parker and Thomas was selected to design the new campus, the final plan coming to fruition in 1914. 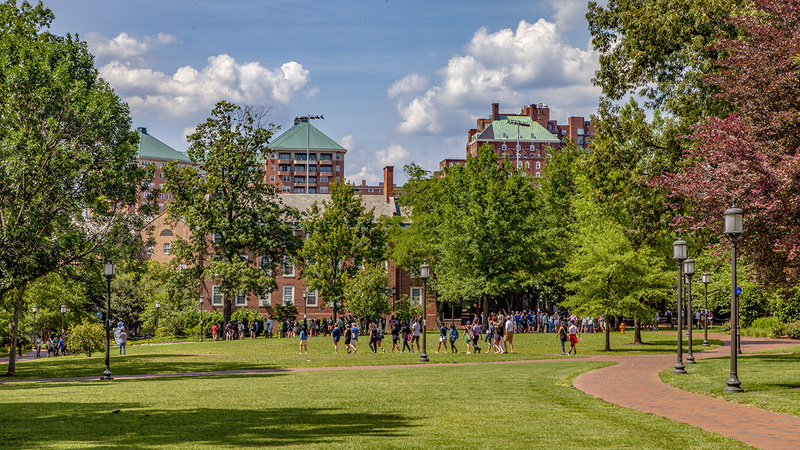 Warren Manning submitted early planting plans for the campus landscape, and the Olmsted Brothers firm designed myriad plans for the campus between 1905 and 1917, establishing the design of the two original quadrangles and the grading around academic buildings. The 1904 report by Olmsted Brothers on the city’s parks and parkways proposed a division of the Homewood estate into parkland and campus, and the university did indeed cede land to the city for the creation of Wyman Park and the Wyman Park Dell. 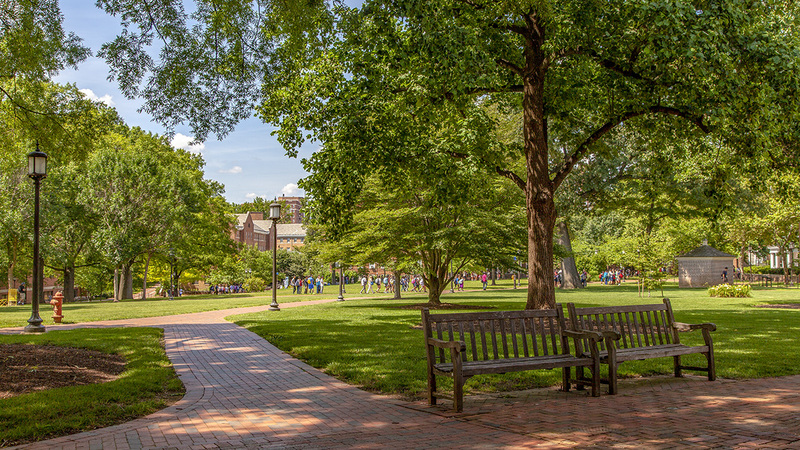 The original core of the campus was laid out in a ‘T’ comprising two adjacent, perpendicular quadrangles, each an open expanse of lawn crossed sparingly by walking paths and framed by Federalist-style buildings. 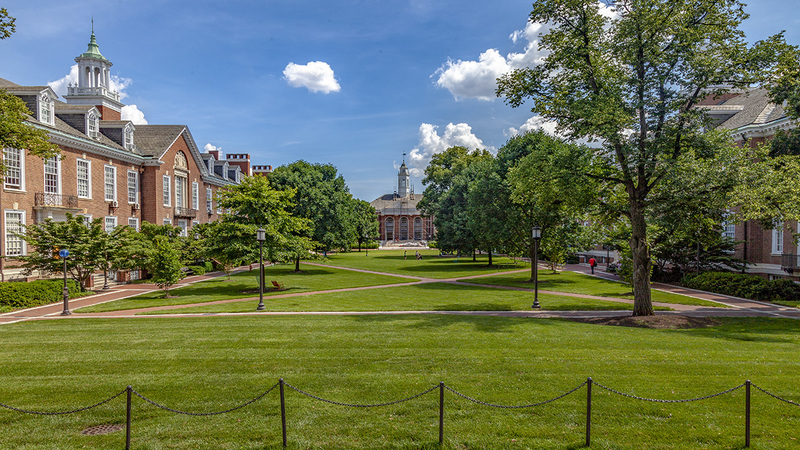 Keyser Quadrangle (constituting the shorter, east-west axis) is bordered on the west by Gilman Hall, the university’s first academic building, completed in 1915. 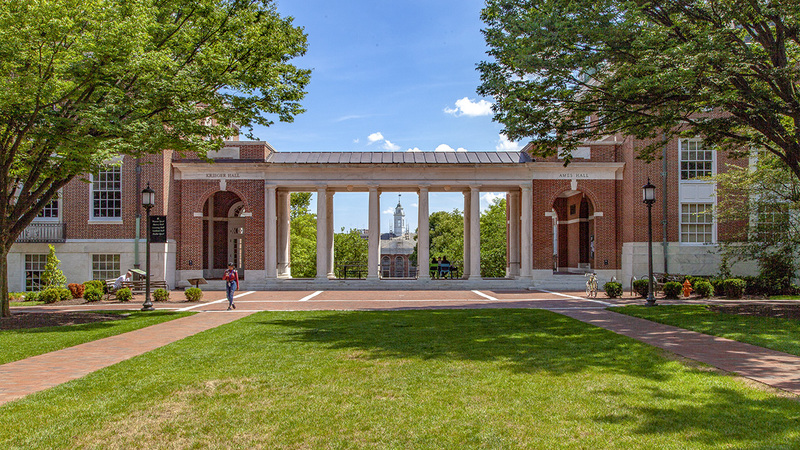 Large canopy trees line the quadrangle and frame views of the stately building. 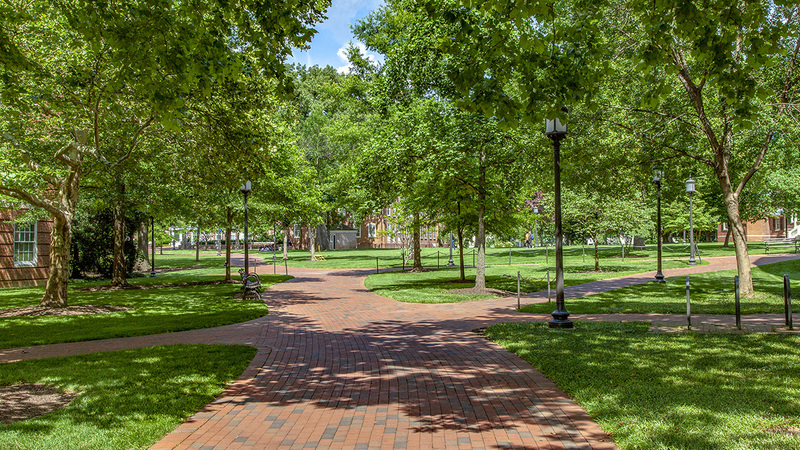 A brick-paved plaza connects the Keyser Quadrangle to Wyman Quadrangle (forming the longer, north-south axis) to the south, which runs parallel to North Charles Street along the site’s eastern border. 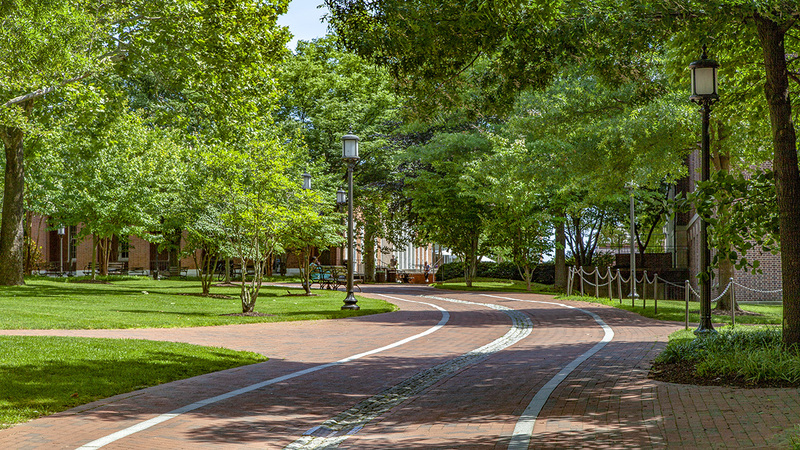 A circular drive marks the primary entrance to the campus from North Charles Street, passing in front of the former Carroll residence, Homewood House (now a museum and National Historic Landmark). 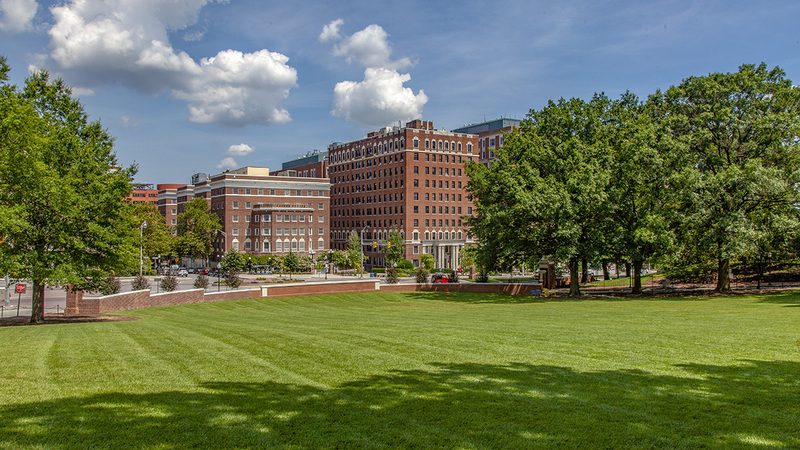 Subsequent growth has accrued around this original core, including a cluster of academic buildings directly to the north (and a large athletic complex beyond, bordering University Parkway); Decker Quadrangle to the west; Freshman Quadrangle to the northeast; and Decker Gardens to the northwest (the latter established ca. 1915 and originally known as the Botanical Gardens, used to cultivate plants for research). 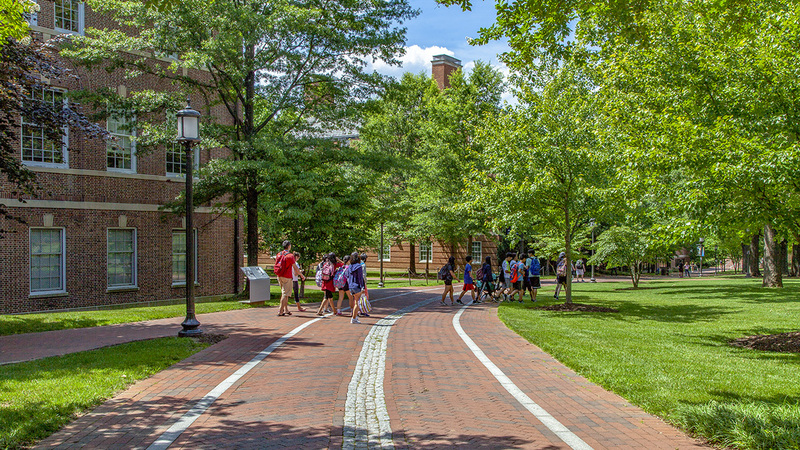 From 2000 to 2002, the campus underwent a major renovation, which converted many paved roads to brick walkways and rehabilitated the original entrance circle, among other things.